The sale of the animals occurs on the black market, and consumers rarely broadcast the killing and eating of the creatures, which are protected under Vietnam's conservation laws. Six men were arrested in central Vietnam for killing and eating an endangered monkey while livestreaming it on a social media site, the police said on Friday. The trafficking and consumption of rare and endangered species is widespread in Vietnam as many still believe in the healing and medicinal qualities of the animals' body parts. But the sale of the animals occurs on the black market, and consumers rarely broadcast the killing and eating of the creatures, which are protected under Vietnam's conservation laws. 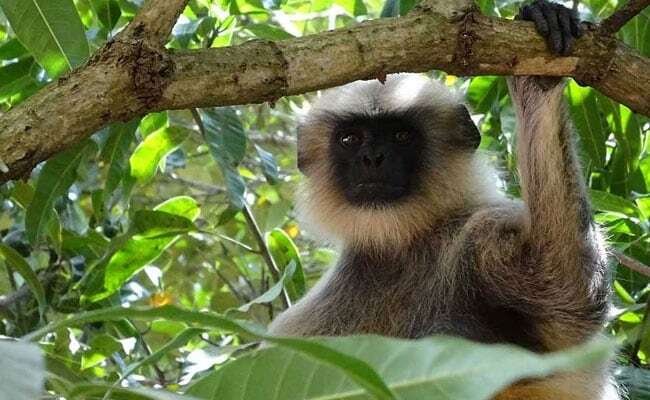 The six men, aged from 35 to 59, filmed themselves with a mobile phone eating a live langur monkey and streamed the gruesome video on Facebook on November 17. They were finally identified and arrested on Thursday. "It took time for us to figure out the suspects involved," a police officer in central Ha Tinh province told news agency AFP. The men have been accused of violating regulations on protecting "endangered and precious animals" and they confessed to the crime, said a statement posted on Ha Tinh provincial police's website. One of the men had bought the monkey off a hunter for $49, said the statement. Leaf-eating langurs are among the most endangered primate species in the world and are only found in the northern part of Vietnam. The Southeast Asian country is also home to other endangered species, including the Red River giant soft-shell turtle, the mountainous Saola antelope, and the snub-nosed Tonkin monkey. But critics say conservation protection laws are not enforced effectively, and poaching continues unchecked feeding an appetite for rare and endangered species domestically and in neighbouring China.